Be Mindful of Values for an Eye-Catching Design! Give this beautiful quilt a scrappy look by choosing a fat quarter bundle or a wide variety of 10″ layer cake squares. Be sure the fabrics you choose can be divided into roughly equal parts of light and dark. 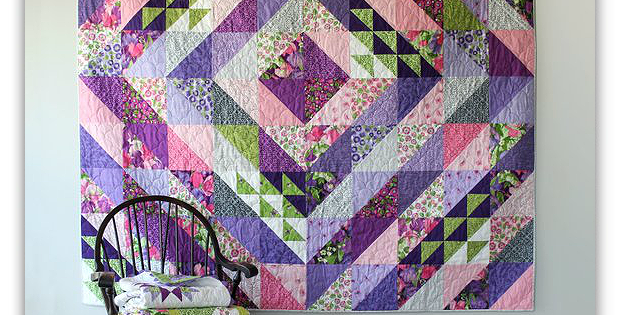 Value contrasts bring this charming quilt to life. 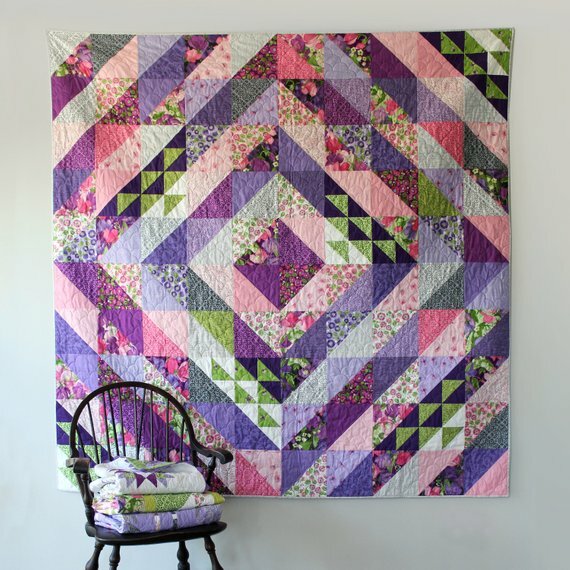 Green and deep violet triangles provide pops of color that help draw the eye around the quilt. Play with color combinations to make your own version of this eye-catching quilt. It will be lovely in your favorite color theme. The finished quilt, designed by Robbin Pickens, is 75″ x 75″. Click here to purchase the “Faceted” quilt pattern.